Last season it took them 8 rounds to say Daniher was cooked. Zach looked far from being right. But then so did most of the side. My feeling - he had a virus and combined that with the humidity made him cooked even more. But you need to get your tin foil hat on otherwise you are not doing it right. It’s not tin foil hat! Essendon have been liying about player injuries / condition since Jesus played centre half forward. He didnt line up though, he missed curfew and we’re still waiting for him to come back. He’s never been the same since his concussion last year. Yes he has. 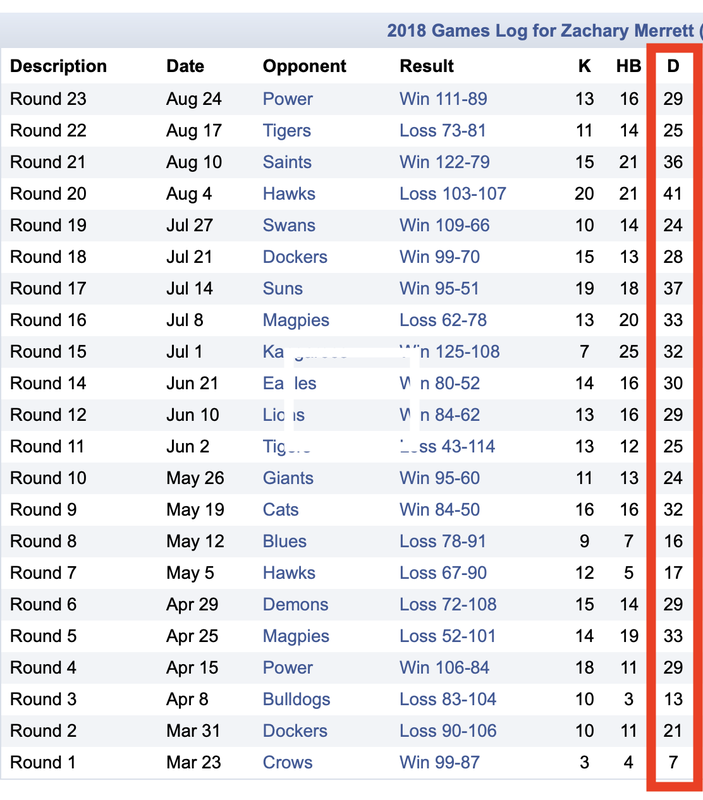 His numbers from the Geelong game onward last year were massive. And he had a harder role than the year before, while also being tagged more. I meant in general, has been having a lot more random 13 possession games. When? I don’t think he has. Last week was hugely unusual for Zach. What is tin foil hat about it? If what you and doe think is correct, and lets say it is, why let a player, who has a virus, play in humidity? So why play him? It makes, literally NO sense. It was a poor decision. I said in an earlier post I get why this stuff can happen. You take the risk when it’s a top player. Zach/club rolled the dice and yep, it didn’t come off. Made worse by the rest of the team stinking it up. Being sick during the week meant he had a limited practice. However he was put through a fitness test and was deemed fine to play. Coaches don’t have the luxury to say “oh he had the flu, let’s rest him”, they rely on fitness tests and medical diagnoses, and he passed both of those. In reality a lot of players get sick with a virus and still play fine in all teams, not often missing games because of it, he didn’t this time. Such is life.